Lock in a great price for Hotel Saint Regis – rated 8.2 by recent guests! Excellent staff on reception, very, very convenient location, good clean room. Secure parking very nearby. Excellent instructions to access our room even though reception was closed. Good storage facilty for bicycles. A pleasant hotel in a good central location which met our expectations. Good secure parking was important. Breakfast selection was somewhat limited in the impressive ground floor dining room but fortified us sufficiently for our ongoing journey! Good location , clean , well presented room , comfortable bed. old building , modern rooms, extremely comfortable and quiet. State of the art bedrooms. Good location with private garage parking nearby. L’accueil. La chambre, très bien, cosy et fonctionnelle. Très calme. Très propre. Rapport qualité prix excellent. Très bel hôtel. L hôtel est propre et les chambres bien équipées. Petit plus pour la qualité de l isolation phonique des chambres. Housed in an historical building, this hotel is located in the heart of Chalon-sur-Saône. Free WiFi access is available throughout the property. Chalon Cathedral is 2,650 feet from the property. Rooms at the Hotel Saint Regis feature a seating area and a private bathroom fitted with a shower or a bath. A buffet breakfast can be enjoyed every morning at an extra cost. Chalon Sur Saone Train Station is 1,800 feet from Hotel Saint Regis. This property also has one of the top-rated locations in Chalon-sur-Saône! Guests are happier about it compared to other properties in the area. When would you like to stay at Hotel Saint Regis? With free Wi-Fi access, this room has a flat-screen TV, a mini-bar and a private bathroom with a hairdryer. 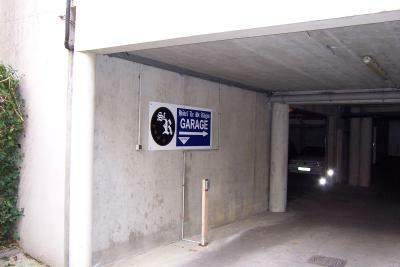 Public parking is available on site (reservation is needed) and costs EUR 14.50 per day. House Rules Hotel Saint Regis takes special requests – add in the next step! Hotel Saint Regis accepts these cards and reserves the right to temporarily hold an amount prior to arrival. Please note that the hotel does not accept gift vouchers. Old needs a lots of care!!! To get a real expresso for breakfast ! A very nice hotel near the heart of the city. I wonder how this hotel got 4 stars! It's 2 stars. Plastic cups in the bathroom, brown residuals at the toilet brush, few staff in the house and some with almost no English, dirty carpet, worn bed and chair, loose shower head, bad breakfast coffee from an old thermos, bike storage for five Euros per person, staff entering the room after short knocking in the morning, strange phone call, too small lift.. The building was old fashioned. No Tea/ Coffee making facilities. Although room comfortable , not in-keeping with the style and character of the building. Not the services of a 4 stars hotel. Breakfast is more for 2 stars, room the same.